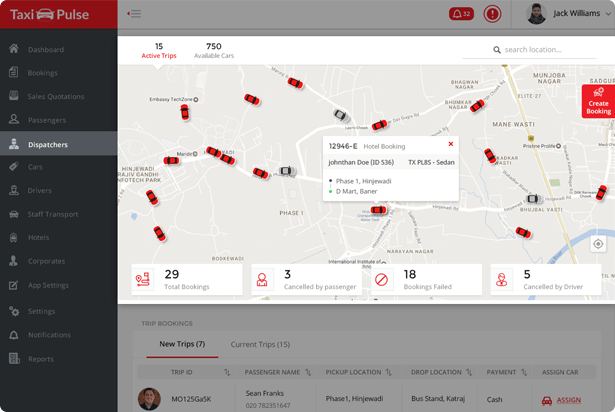 The taxi dispatch system works according to your existing web taxi booking module. It can control the incoming bookings and dispatch them. It will have an overview of how drivers and rides are functioning on a daily basis. Dispatchers can create new bookings for phone calls and use auto assignment. In this way, the dispatcher panel can receive requests manually. While manual dispatching is required in exceptional cases, auto dispatching is used in most of the cases. A dispatcher can track every vehicle in real-time, whether it’s idle or in dispatch, with the integrated GPS tracking system. They can track the current location of the drivers including the fleet availability and assign the jobs accordingly. 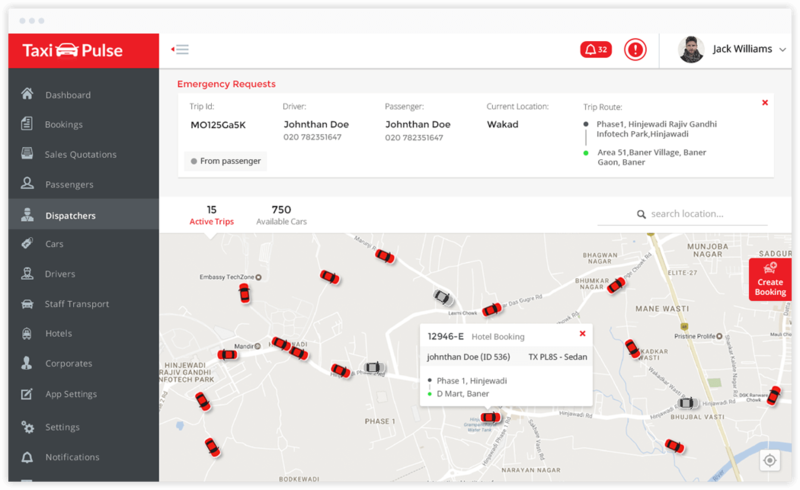 For the safety of passengers and drivers, the dispatcher will be able to view all the emergency requests for a safe and secure journey and ensure quick actions if an emergency occurs during the ride. A dispatcher can add drivers, review signup requests, set commission rates and more. They can approve or reject a driver permit by verifying if it’s valid. Also, they can suspend a driver anytime. We provide the best-in-class Taxi dispatch software to transform the way taxi businesses manage today’s on-demand, mobile-first world. 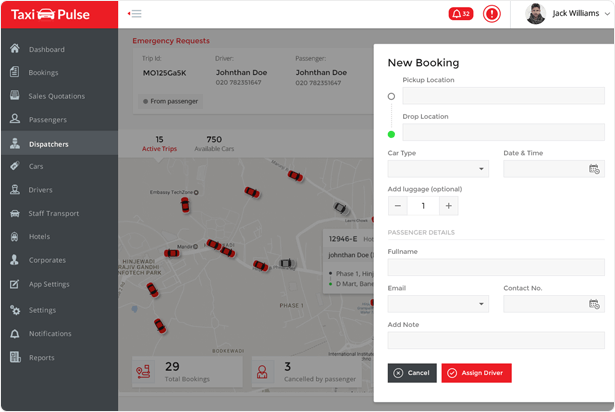 The comprehensive dispatcher panel for white-label taxi dispatch solution is delicately developed using added features while keeping the needs of modern taxi businesses in mind. Verified access to the web-based taxi dispatcher panel from any latest browser. Get the real-time information of the entire network with a live status on the map. 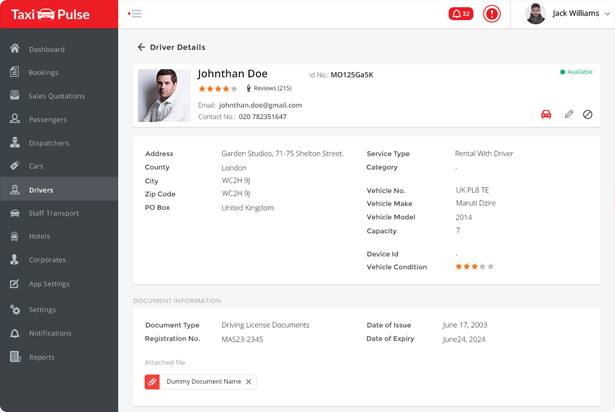 Add and remove drivers, set their commission rates, review signup requests and more. 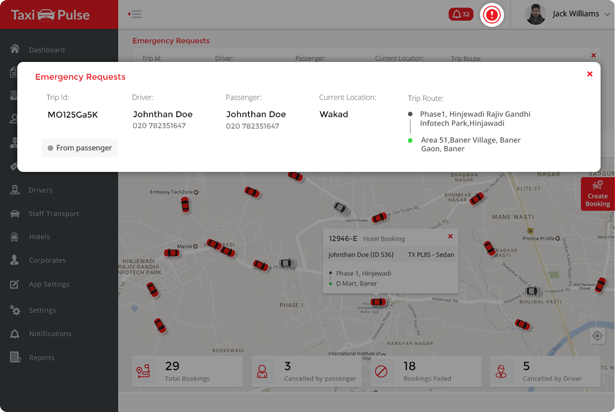 View and track your available fleet in real-time and their current location on a map. Add cars and vehicle information for simplified management. Dispatchers can create new bookings for phone calls and use auto assignment. 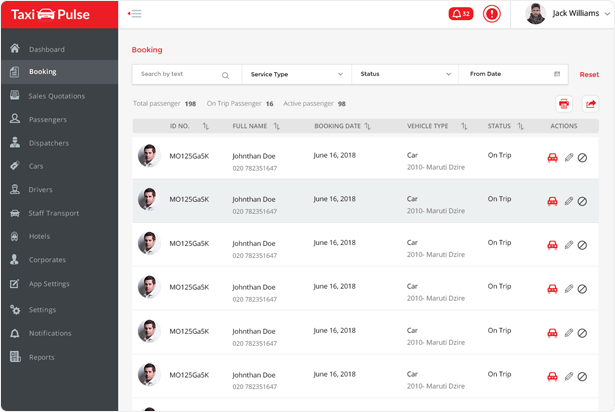 Add support for a phone booking channel to your taxi dispatch system. "I would like to thank Mobisoft for their dedication and commitment to delivering a system that we truly believe and trust. The entire team has been very attentive and efficient in the successful delivery of the project. It’s been a pleasure working with them." "My experience working with the Mobisoft team was flawless and I could never have had such an amazing time on my project without their personal and professional touch. I highly recommend them to others."